On my way home to Tampa, I decided to take a different route: through Athens, to avoid the perpetual traffic nightmare of Atlanta. Just outside Gray, Georgia I stopped at Old Clinton BBQ for lunch. Roy and Mittie “Lady” Coulter opened Old Clinton in 1958. It’s still owned and operated by the Coulter and (their extended) Michaud Family. 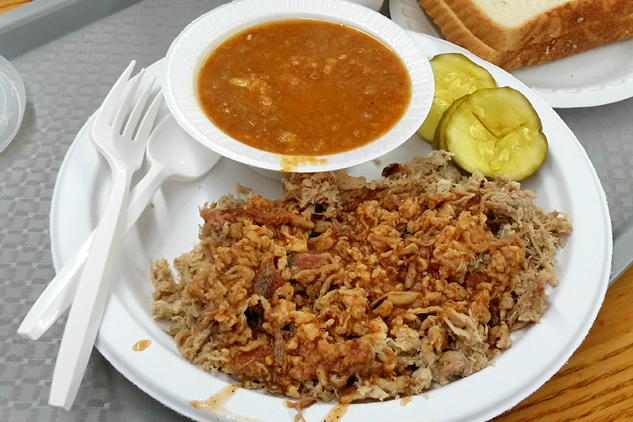 I had the Pork Plate with Brunswick Stew. The pork is finely-chopped and Old Clinton’s proprietary sauce is a thin but savory vinegar-based sauce. 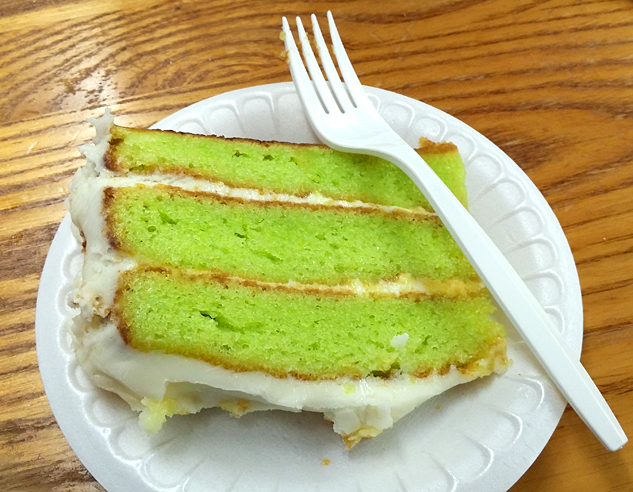 It was all very tasty, but my favorite thing at Old Clinton was the sweet, moist, home-made Key Lime Cake!